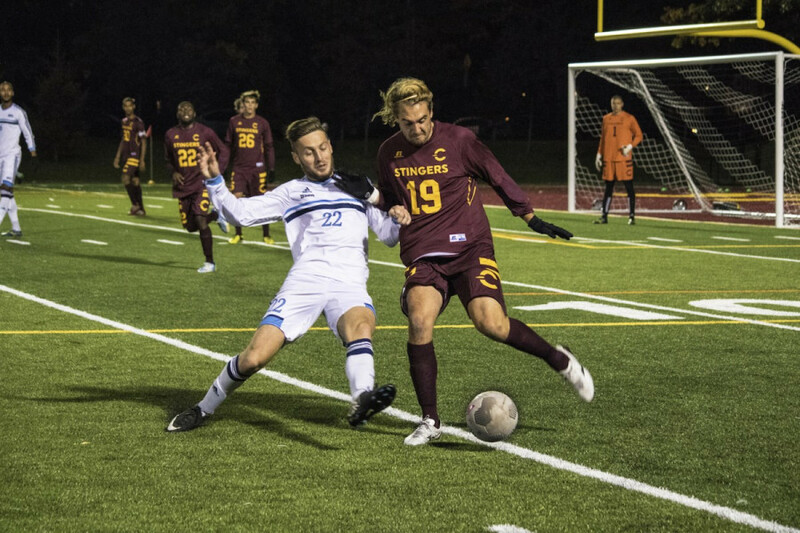 Disappointment has been a recurring theme for the Concordia Stingers men’s soccer team. But with training camp and pre-season now at an end, and the fall campaign just days away, there’s been a certain hype around the current crop of players. It’s been a positive preseason for the maroon and gold. The Stingers recorded and impressive five wins out of their six preseason games. Last season the Stingers saw themselves finish in sixth place, three points shy of a playoff spot with 14-point tally. Concordia will hope some of the new recruits will help guide the team to the playoffs. Georges is adamant their goal is a realistic one this season and has expressed his encouragement surrounding the current team. Highlighting some of the new prospects who have made their way to the maroon and gold, midfielder Bruno Xavier and forward Marco Lapenna are amongst the teams exciting new players. Both of them evidently have ties to the Montreal Impact, in which Sutton—a former goalie for the Impact—didn’t shy away from the connection he holds with his former club. “I [still] have a relationship with the club and so I’ve kind of got my ear to the grindstone when it comes to opportunities to pick up guys who’ve graduated from the academy,” said Sutton. It’s no secret that Lapenna will be coming into the squad with quite the soccer repertoire having previously played for the Canada under-20 team as well as the Montreal Impact Academy and the Ottawa Fury. Despite the team’s hopeful new recruits, Sutton expects them to give their maximum effort if they are to be successful this upcoming campaign. “We want those guys coming in who’ve got the quality but also the work ethic,” he said. With Concordia’s opening match against last year’s league leaders, Université du Québec à Montréal Citadins this Thursday night at Concordia Stadium, Sutton said there’s still work to be done but for now the team will take the season game by game. “What we’d like to see is just the progression as we get closer to the end of the season, where we’re in a [playoff position] and we’re starting to play our best soccer,” said Sutton.